If you want to know what a multi-million-dollar renovation project looks like, take a look inside the Las Colinas Country Club.The private club in Irving got a major facelift this year. "Our club is reinvented. We are transformed into the cool, hip place to be," said Shara Capper, spokesperson for the Las Colinas Country Club. The transformation comes with a hefty price tag. ClubCorp, which owns the Las Colinas Country Club, invested $3 million on the private club's renovation. Capper said projects included updating the fitness center, the golf course, and the tennis facilities, but the main project focused on the clubhouse. A new look for Las Colinas Country Club attracts a more youthful clientele. An estimated $2 million went into transforming the space, making it look more open and inviting to a younger crowd. "We want the young executive, the young family, the people that maybe typically didn't think of a country club because they thought that it was either you know, out of reach or that it was old and traditional," said Capper. The average age of new members are in the mid-40s. The average age of members in general are early to mid-50s. "The country club here is a part of the community," said Capper. "We bring people together. We connect people. I mean that is our main purpose is to enrich lives." 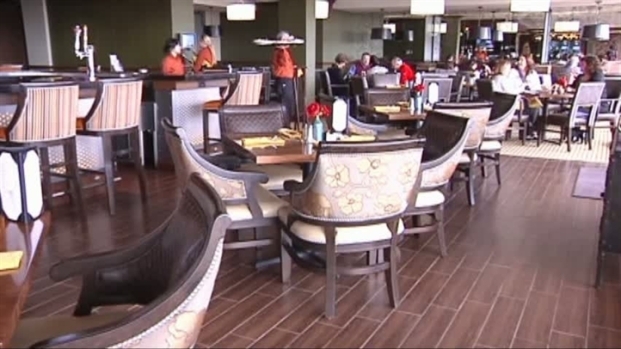 The Las Colinas Country Club incorporated the spirit of Texas into their renovation. For example, lines of snaffle bits handcrafted and made in Fort Worth replace an area where walls could have stood. Unique touches like the western décor and the modern ceiling lamps have already made quite an impression on Amy Robles, who has been a member since 2003. "It's amazing," she said. "I mean it's a complete transformation from what it used to be. It used to be very dark. We had all these windows, but I don't know if they were covered. I don't even think of what it looked like." Robles said her four daughters loved the new look so much they didn't want to go home. "The only reason we went home was because all of their iPods, they all died," said Robles. Capper said the country club has membership options starting from about $100 a month.